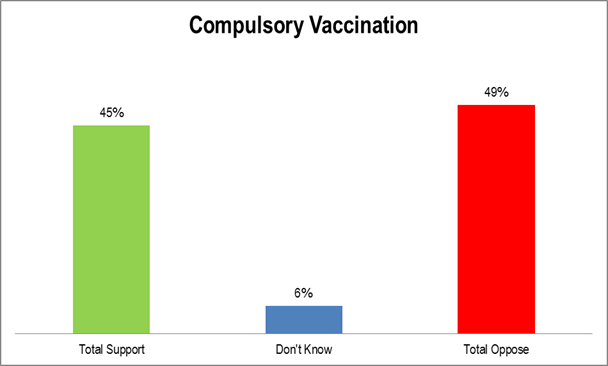 Oregonians oppose making the compulsory vaccination exemptions harder to get. In general, Oregonians do not like restricting individual rights unless there is a good reason. An anti-compulsory vaccination initiative ballot measure nearly became law in November 1916. When it came up again in November 1920, it was defeated in a landslide. Oregonians had learned. QUESTION: Do you support or oppose restricting the ability of parents to exempt their children from compulsory vaccination? METHODOLOGY: Live telephone interviews of 400 likely Oregon gubernatorial general election voters were conducted February 9-11, 2015. The margin of error at the sample median is 5%. Quotas were established based on gender, age, party, and region. Totals may not equal 100% due to rounding. This poll was conducted entirely at the expense of The Lindholm Company, LLC without outside support. 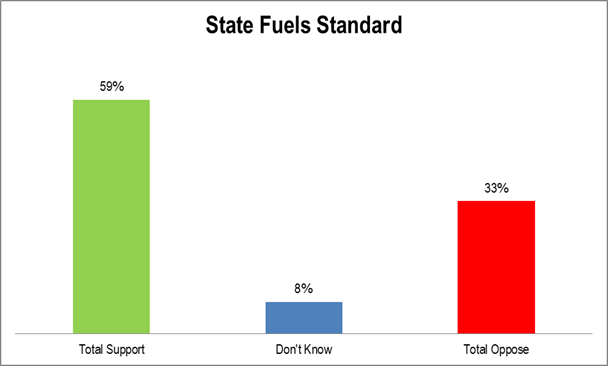 Oregonians support a law that would apply carbon standards to fuels. This is to be expected since nothing contrary has been suggested. QUESTION: Do you support or oppose a state standard for fuels that will generate less in carbon emissions? 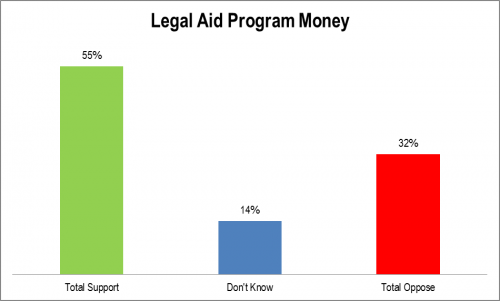 Giving unclaimed money to legal aid is supported. QUESTION: Do you support or oppose use of unclaimed money from class-action settlements for Legal Aid programs? Making voter registration automatic just hits 50% support. 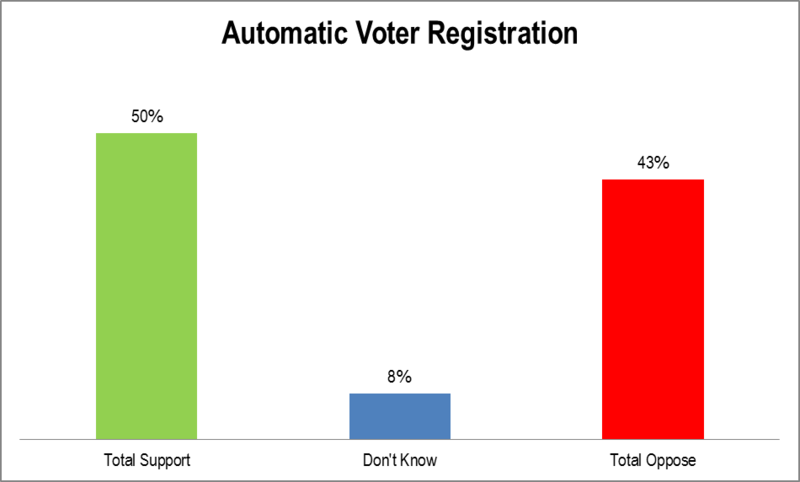 QUESTION: Do you support or oppose automatic voter registration for people 18 and older, unless they choose to opt out, when they obtain or renew driver’s licenses? 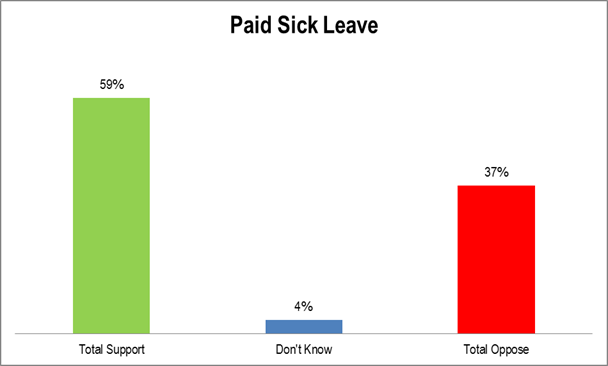 Nearly 60% of Oregonians support a paid sick leave law. QUESTION: Do you support or oppose requiring all businesses in Oregon to provide paid sick leave to employees? Another way to express these data is in terms of his approval rating. In that case, he would be significantly under water at 31% approve versus 65% disapprove. 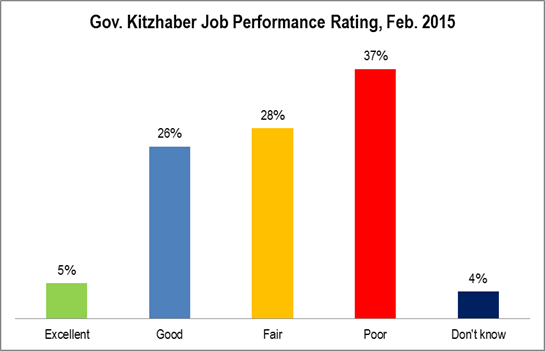 QUESTION: How would you rate the job Governor John Kitzhaber is doing: excellent, good, fair, poor? 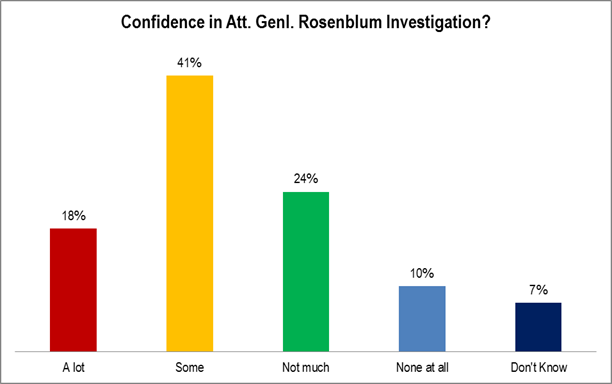 In general, Oregonians feel confident about the Attorney General’s investigation. QUESTION: Currently, Oregon Attorney General Ellen Rosenblum is investigating Governor Kitzhaber. How much confidence do you have in the results of her investigation: a lot, some, not much, none at all? METHODOLOGY: Live telephone interviews of 400 likely Oregon gubernatorial general election voters were conducted February 9-11, 2015. The margin of error at the sample median is 5%. Registered voters were called. Quotas were established based on gender, age, party, and region. 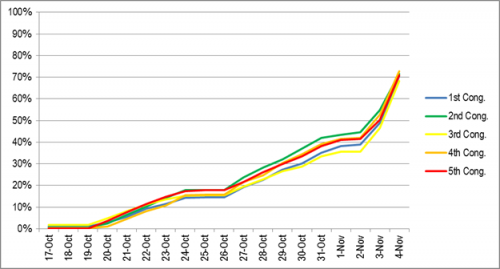 Totals may not equal 100% due to rounding. 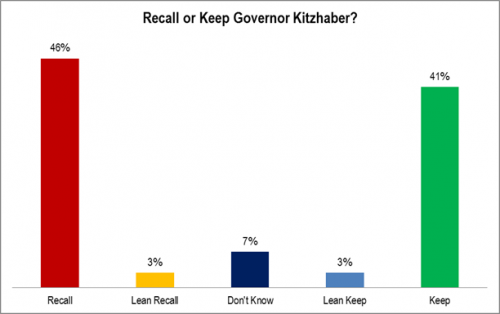 How Closely Are Oregonians Following the Kitzhaber Controversy? Not a lot of Oregonians are following the controversy very closely, but about two thirds are following it reasonably closely. 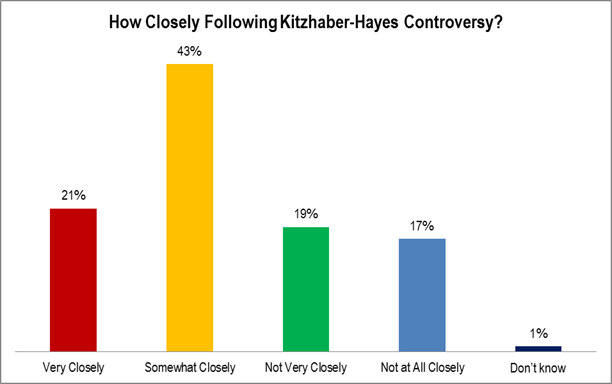 QUESTION: How closely are you following the controversy surrounding Governor Kitzhaber: very closely, somewhat closely, not very closely, or not at all closely? Category: Oregon, Political | Comments Off on How Closely Are Oregonians Following the Kitzhaber Controversy? The numbers are obviously not good. However, the number favoring recall is not above 50 percent. Since the polling was conducted as news was breaking it is entirely possible that those favoring recall could already exceed 50 percent. The interviewing was conducted Monday through Wednesday of this week. QUESTION: Recall petitions have been filed against Governor Kitzhaber. By law, they cannot begin collecting signatures until July. However, if the election were held today would you vote to recall or to keep Governor Kitzhaber in office? IF DON’T KNOW: Which way do you lean? Though turnout from the five congressional districts do track one another, the 2nd Congressional District, comprised of eastern and southern Oregon and the most rural, jumps out to a short-term lead during the middle week of voting.